Send a peaceful floral arrangement that is beautiful as a blue sky. Arranged with white lilies, white roses and blue hydrangeas. 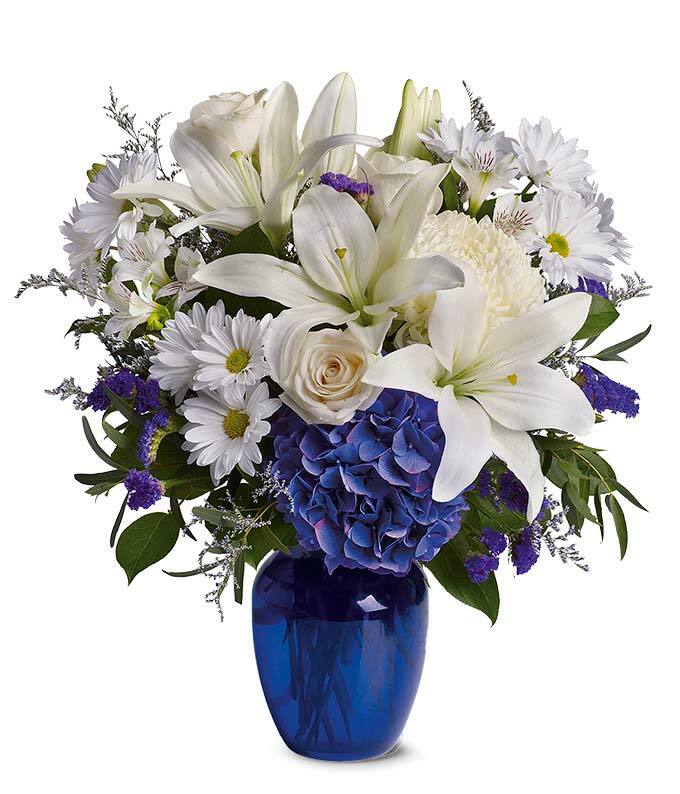 A perfect white and blue flower bouquet that is an ideal gift for a variety of occasions.